Bill O’Brien and friends performing at last year’s Anniversary Show in Burlington, NJ. 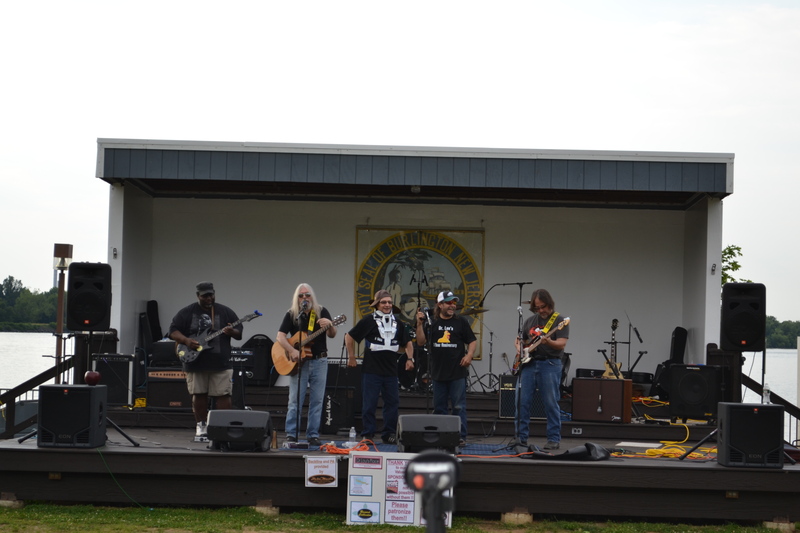 UPDATE: Cherry Hill Patch has published almost 40 amazing photos of the Croft Farm Rockfest! Our 19th Anniversary concert is scheduled for Saturday, June 8 at Croft Farm in Cherry Hill. Need directions? No problem–just click here to get customized directions. We’ll tape the concert for future Inside Music Today productions–so tell your fans, friends and family to look for themselves on TV! Sign up for our email blast to get updates on each and every show so you’ll know which bands are featured. Here’s to the past 19 years of bringing original music to the Delaware Valley viewing audience–and many more years to come! We’ve reached out to many local media outlets to publicize this concert. It’s featured as a WMMR Community Event! We’re on page 16 of the Cherry Hill Sun for June 5! The Courier Post Online lists our concert in its Community Events section. Cherry Hill Patch is promoting the concert as well. And we’re listed on the Cherry Hill Township events page as well as the Cherry Hill Public School District events listing! Find us on the Burlington County Times event calendar! Check out our mention in the Philadelphia Frugal Family section of the Examiner online newspaper. Hi Bill…how is your lovely wife??? My name is Dona Camin. I don’t know if you remember me from maybe…..15 years ago….I did an interview with my band. I am wondering if you still may have that. I think we were going with “Hung Jury” or “Vendetta”. I would love to have a copy of that video. I went to a place in Mount Holly in June, my son played there. Dona, we will be sure to look for the video. Give us a call at 856-461-4281 and we’ll see what we can find.